Almost too cute to handle, this handcrafted design shows Stitch holding Frog just moments after he saved the little guy's life. 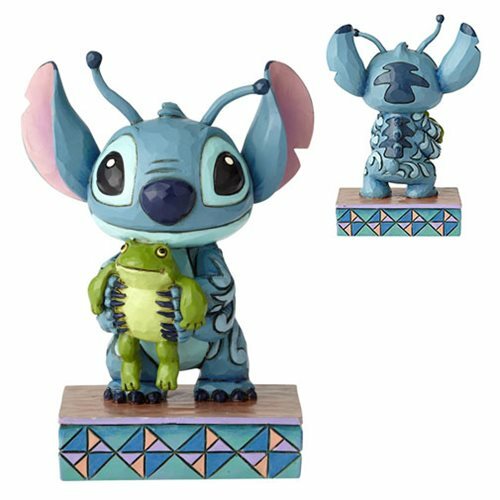 The colorful Disney Traditions Lilo and Stitch Stitch Personality Pose Strange Lifeforms Statue by Jim Shore is crafted from high-quality stone resin and hand painted for a beautiful one-of-a-kind finish. It measures approximately 3 7/8-inches tall x 2 7/8-inches wide x 2 1/8-inches long.